You met Dante Champion in His Paradise Wife. You learned how Dimitrius Champion knew Melanie was 'the one' in When A Champion Wants You. You watched Desmond Champion fall in love with Sherita in The Best Thing He Never Knew He Needed. Dante wants another child. Emily feels guilty for not spending enough time with the child they already have, their one-year-old son, Ezra. Struggling with motherhood while trying to ensure her boutique is a success, she's not ready for more children. Melanie runs into her ex - Scott - again. Scott had left her heartbroken when he found out she couldn't have children. Since seeing her with her daughter Grace, Scott feels like Melanie owes him an explanation. Melanie keeps Dimitrius out of the loop. The last thing she wants is for him to think she still has feelings for her ex. But her plan backfires. 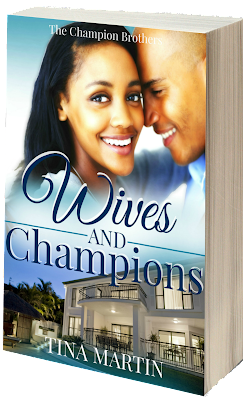 Sherita knows she married a fine, millionaire boss, Desmond Champion. That's why she's under pressure trying to lose baby weight after giving birth to their twins, Celeste and Nolan, six months ago. She's working hard to be a good mother while trying to run her photography studio - not to mention dealing with postpartum and intimacy issues that's driving a wedge into their new marriage. As if their own personal lives weren't enough to keep them occupied, Dante, Dimitrius and Desmond still have The Champion Corporation to run. And an unexpected visit leaves them questioning if they have half brothers and sisters they never knew about. When life doesn't seem to be going their way, what will these Champions do? 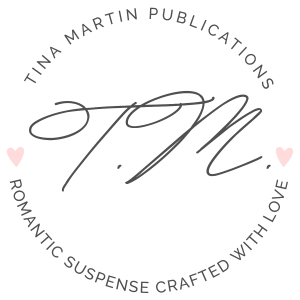 Follow Tina Martin's board The Champion Brothers Series on Pinterest. Each novel is a finished, complete story and can be read in any order.